EKP, HOLA! SOC L’AGUS PIANOLA! LA MEVA VIDA ERA NORMAL FINS QUE VAIG CONÈIXER EL SR. FLAT I LA SEVA COLLA DE MONSTRES. QUI M’HAURIA DIT QUE VIURIA TANTES AVENTURES INGREÏBLES? PART DEL MÈRIT ÉS TAMBÉ DEL MALVAT DR. BROT I EL SEU AJUDANT, EN NAP, QUE S’INVENTEN EL QUE SIGUI PER AMARGAR-NOS L’EXISTÈNCIA. 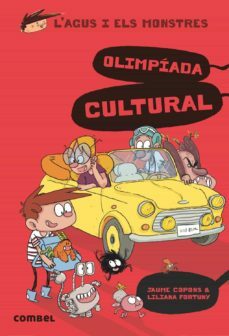 L’ÚLTIMA, QUE ENS HEM CASSIFICAT PER PARTICIPAR EN NOM DE L’ESCOLA GALERNENSE ES UNA OLIMPÍADA CULTURAL. NOSALTRES, UNS LLUMENERES. US HO PODEU CREURE? JO NO!